Guidance and advice in your new home. 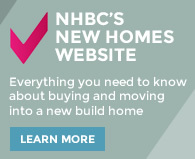 Welcome to our collection of NHBC fact sheets. These fact sheets offer guidance and advice for when you move in to your new home. Carrying out a winter health check on your home will help identify areas that need attention and catch problems at an early stage, making sure you get the best out of your home and that you and your family are warm and safe. Planting trees and shrubs can enhance a garden, provide privacy and block out noise from next door. However roots and branches can also cause expensive damage to homes. This guide offers practical advice when planting new trees and shrubs or cutting back existing ones. With burglary as one of the most common crimes, it’s important to consider the security of your home whether you are away or your home is left empty most of the day, so that you don’t return to any disasters. As the autumn sets in and external temperatures begin to fall, homeowners should consider things they can and should do to keep their homes warm. If you are thinking about buying a new build home, here are some tips to consider when visiting a show house. As we approach the height of summer, you may feel that temperatures inside your home are increasing as much as those outside. There are a number of risks associated with overheating, so it's crucial to keep you and your home cool, ventilated and healthy.